Alien ET UFO Future Information by TJ | UFO Digest provides video proof of ufos, alien abduction and the paranormal. Theresa Janette Thurmond Morris is an Author/Entrepreneur. TJ specializes in paranormal/super natural phenomenon. TJ was a professional consultant and expert witness on legal investigations and has prior military and government service in the USA 1980-1993. Theresa’s family knows her as Jan and professionally she uses her initials TJ. TJ has written several paranormal books including Ascension Age 2012 & Beyond, Alien UFO Story by TJ, Avatar Oracle Xeno Guide, Roswell Connection, Roswell UFO Encounters, UFOS & Extraterrestrials, and Uplifting the Soul. All books are in print available. TJ shares her life with TJ Morris & Friends and is an Ambassador of Goodwill with American Culture International Relations and ACIR. Theresa shares UNESCO with Art, Culture, Education, Science, Technology, History, Math, Engineering, and Folklife Interest. TJ is now a spiritual life coach and Guide with her own esoteric metaphysical view of life. TJ believes we are all her to share our spiritual paths with others while we learn of other dimensions we all share. Life is a journey and not a destination and shares we are all the author of our own life story. TJ has had extraordinary life experiences including that as an ET Contactee, Out of Body, and Near Death Experiences which allowed her to question life and how our minds work with our soul’s essence. TJ is devoting her life to the research of how the mind works in relation to the extraterrestrials who visit her in person and through what we call extra-sensory-perception as ESP. There are nuclear physicists working on the same energy and education that TJ has to offer for future discoveries about our involvement with ET. TJ has had various sightings in AL, AZ, CA, CO, FL, GA, HI, IL, KY,LA, NV,NY, TX and cross country while over the road. TJ now has had contact and experiences where she now lives in KY. TJ has been in constant contact since a child, teen, adult, and now in her later years. TJ now shares her experiences to assist others who are learning to live with UFO sightings and expanding awareness that alien civilizations exist. Tj believes in the Ascension Centered Enlightened Beings in us all. TJ is now happy to be a writer and shares her metaphysical esoteric spiritual point of view through her books. TJ is also a book doctor and editor for over 9 authors and TJ contributes as a syndicated journalist to various websites, blogs, links and rss feeds. TJ’s salutation is Love and Light and believes we are all to share in life together to better ourselves as essence while gaining wisdom. TJ’s books are available on Amazon.com. TJ can be reached at Lulu.com and on her personal websites which can be Googled by her various name and initials for her organizations. There is Theresa’s ACIR.US, SocialParanormal.com, TJMorris.ORG, Theresa Morris.NET, TJMorris.US, TJMorrisPublishing.US, email her at MsTJMorris@aol.com, or Twitter.com/TJTM and Facebook.com/TheresaMorris. If you are interested in becoming a MEMBER of our ET UFO Community which is now represented through affiliation with TJ Morris & Friends, please see our WEBSITES which are paid for and sponsored by TJ herself. TJ is a Patroness of the Arts, Culture, Education, Science, Technology, Folklife (Archaeology) and History. TJ is a natural born leader which is so noted in astrology as she is a Capricorn with Aquarius rising in her Astrological Chart. TJ is believes in living a balanced ascension centered enlightened life as a spiritual intellectual and shares her essence and energy and sometimes funding and creations with those who are in alignment with her own endorsements and beliefs as a patron and leader in the discoveries of the future minds of the world. TJ has been associated with many famous people in her time on earth and began on television at age of 3 years and while in grade school was on TV weekly. She is an extrovert to some and believed to be an introvert to others. TJ enjoys psychic science and neuro science and shares brain training and spiritual training as part of being a well balanced humanoid in body-mind-spirit in the birth-life-death experience which is her faith. TJ is not a religious person but is considered an Avatar Ascension Master having master all 33 Ancient Mystery School levels including surviving life after death in this lifetime not only as an experienced believer in reincarnation with this being her ninth and final return to this planet. TJ believes that alien civilizations exist and says this is her religion if anyone bothers to ask her religion she is a declared Ascension Age Avatar Master Minister of the Shamanic Healing Arts. MICHAEL JACKSON’s ESSENCE HAS LEFT THE EARTH PLANE BUT WILL NOT BE FORGOTTEN! There are many stories that I have enjoyed in my life. There is a part of me that grew up in the music industry. I began television at the age of 3 old enough for dance lessons. I grew to like a young boy who I saw for the first time in his pink panama hat who was little Michael Jackson. I always liked the Jackson Five. I loved Michael Jackson and have danced many nights choreographed in clubs in Houston on stage to Mitchael’s‘ music. I never thought that Michael would die before me. I have lost two brothers now and this is almost as detrimental to my spirit as my true blood brothers. I have been reporting on this story since I heard the news on June 25, 2009 at the time that Michael was on his way to the UCLA Medical Center on my websites and blogs. I just thought I would update this one. The latest news now and this should follow the other information that I have posted in other places, is that Michael Jackson’s Estate will be for his three children, Prince Michael Jackson, Paris Michael Jackson, and Prince Michael Jackson II, all who are presently going to go with their grandmother who they know best. Catherine Jackson who is married to Joe Jackson. Michael Jackson had been in Las Vegas, Nevada prior to moving back to Bellaire, California with his three children, their Nanny, and accompanying him the night he died was doctor Cameron C. Murray, a Cardiologist. Michael Jackson was 5’10 inches and weighed only approximately 120 pounds with clothes on. Michael Jackson was getting ready to make a come back in the public when he had what appeared to be a cardiac arrest although an autopsy was performed and today this Sunday morning at 6:20 AM central we were made aware that the 2nd autopsy was performed at the request of Michael Jackson ‘s family. We are told that Janet Jackson is taking care of the estate at the present time while there were moving vans at the Bellaire rented mansion to pick up the three children’s belongings and we believe they are being taken back to the Jackson Family Home. Deborah Jeanne Rowe the biological mother who gave up all parental rights now appears not to have any concern over asking for return of the children. Deborah is taking care of horses and it has allegedly been reported that she will continue her life without the children but may increase visitation rights but that the children will go to their grandparents as they have requested. 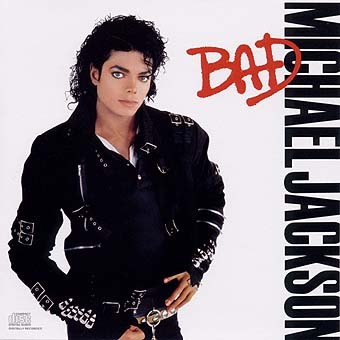 Michael Jackson had trouble with his back and also had trouble with his stomach not allowing him to eat certain things. We are all missing Michael and want what is best for his family. We also realize that because Michael is so loved by so many people that the Bloggers such as myself and the world will want answers. We are the public who all knew and loved Michael in various ways. Some more than others. Some knew him as a singer, dancer, entertainer, through Michael desiring to live a “Peter Pan” life right down to the looks and the Peter Pan nose. Others only know of him through the media and the law suits that came up for monetary gain and all his friends knew he loved children but never saw him as anything other than a kind and loving person who wanted to celebrate childhood with his own Neverland taken out of Fantasy land fairy tale living arrangements that Michael himself created. Michael was known as a giving kind and loving person who has given away more money than most people around the world have ever thought about creating. The record has it that he gave away t charities over $300 million dollars, although now the estate is said to owe some millions out but, that Michael Jackson’s Estate is making more now due to all the memorabilia and albums flying off the shelves as fast as people can purchase or bid on them on Ebay and 10 times the original asking price is said not to be unreasonable although some are only thirding up the price or marking up 7 times the original price to keep prices down. The supply and demand is what will effect the pricing in the Global Market for all that presently exist by copyright date that was created before his death. The Michael Jackson Memorabilia will be available but will not be as valued as that which was purchased while Michael was still alive or at least copyrighted the date up to June 25, 2009 the date of his death. All items after that date will be considered second vintage date collection. The first preferred date will be prior to the date of death declared as June 25, 2009 at 2:56 PM California or Pacific Time in the United States. The insurance companies who are concerned about the millions of dollars of tickets sold will have to return the money to the ticket owners or some may prefer to keep the ticket as a souvenir based on the purchase date of the last concert and the ticket can prove that they were bonafide fans in the Global Community. I didn’t have a ticket but if I did I would choose to keep it and frame it with an album photo of Michael or a collection to put in my music room. It was mentioned that they may have world tributes and there may have to be Michael’s promoters/managers who can arrange for the Michael Jackson Tributes AROUND THE WORLD TRIBUTE TO MICHAEL as A TOUR FOR THE FAMILY MEMBERS to SHARE WITH THE WORLD. This is undecided and will be discussed after the children are taken care of and settled into the grandparent’s home. The creditors who are owed money are the sad part of this story but, it is a real part of anyone’s life when their essence has left this physical level of being. People as me about life after death, and I always tell them that I chose to come back but it is as simple as leaving out the crown or head chakra and seeing one’s own body left behind and then we travel on a white lighted escalator at an ascension slow speed that when we reach the dark space outside the earth’s atmosphere we speed up and we are headed to the next galaxy or mansion of our Father’s creation in Heaven. There are many ways to discuss where Michael is now but the ESSENCE OF MICHAEL is in a better place than we are here on earth. We take our memories with us. It is my job on earth to share what I can with those who will need to understand that we are to stay here as long as we can to learn, explore,and gain our memories of creation and Michael certainly has some good and great memories of creation. Michael will be appreciated in all lives but specially in this one for the 50 years that he gave humankind as an ascension sentient intelligent being. Michael was a chosen spirit with the energy that was special and was allowed to share himself with the whole world. There were many lessons that Michael was chosen to teach us all while he was here. He was truly one of God’s chosen Angels of goodness and charity. There are many faiths and religions in the world that are here for others to share. The true religion of ascension of essence that I share knows no religion on earth. The truth that I learned about the body-mind-spirit is that we are only here a short time. We are all truly ESSENCE and our energy will carry us to another place and another time. Those who desire to know Michael in the next life surely will see him again. 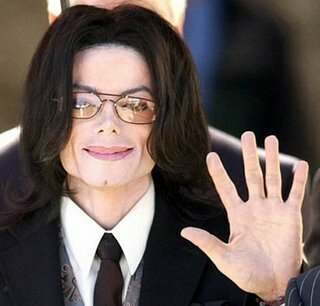 There will be a long process of healing and recovery for the world who had accepted Michael Jackson as the King of POP. Michael Jackson will be part of the world history as the King of Pop like his father-in-law Elvis Presley, the King of Rock-N-Roll. We all should keep the Michael Jackson Family including his children, brothers, sisters, parent, Aunts, Uncles, Cousins, and Friends who knew Michael’s inner circle in our prayers. “WE ARE THE WORLD”. If we take the time to listen to Michael’s angelic voice in that song, we can here the sensitive vibrational sounds that were sent as a cry and a plea to the entire world and all the ascension sentient intelligent beings in it. We are the children. We are the one’s who make the world a better place for you and for me. I know that I have a spiritual twist but then I follow the laws of ascension. Being a spiritual person I know that Michael Jackson was spiritual inside and out. He had a special life that was shared when he had the energy to share with others. Toward the last, he may have been assisted with pain management because of the pain from his back. I too have had problems with my back and I know it can send pain through the entire sympathetic nervous system that is very painful and it seems as if it will never stop. This is something that I hope we someday can cure. But, unless one is going through this pain others should not condemn another for doing what one can in hopes to make life better. I truly believe that Michael’s death was natural cardiac arrest although he was given pain medications for his chronic back pain and other health matters that he did not openly want others to know about because of his career path chosen and he was wanting to take care of his children. There will be medications found in his system. This does not mean he was a bad person but only that he was trying to make himself have better coping skills. Michael was a perfectionist in everything he did. Michael wanted to feel normal and natural and became conditioned to the medicattions that others who were trusted licensed physicans gave him. This will be something that may change others lives in the future who will follow. Marilyn Monroe, Elvis Presely, Anna Nicole Smith and others have been down this same path.